There’s a direct connection between great habitat and great fishing. Thankfully, our country is blessed with 640 million acres of public land that provide much of our best remaining fish and wildlife habitat, with good access for fishing and hunting. These lands are the birthright of every American—keeping them healthy is good for fish and game, and for quality fishing and hunting in some of the most scenic landscapes on earth. TU works with other sportsmen’s organizations and with local anglers and hunters across the country to identify “the best of what’s left” of our public lands habitat, and to support collaborative efforts to protect it. In Wyoming, for example, TU worked with sportsmen and members of Congress from both parties to set aside the Wyoming Range from new—and unnecessary—oil and gas drilling. 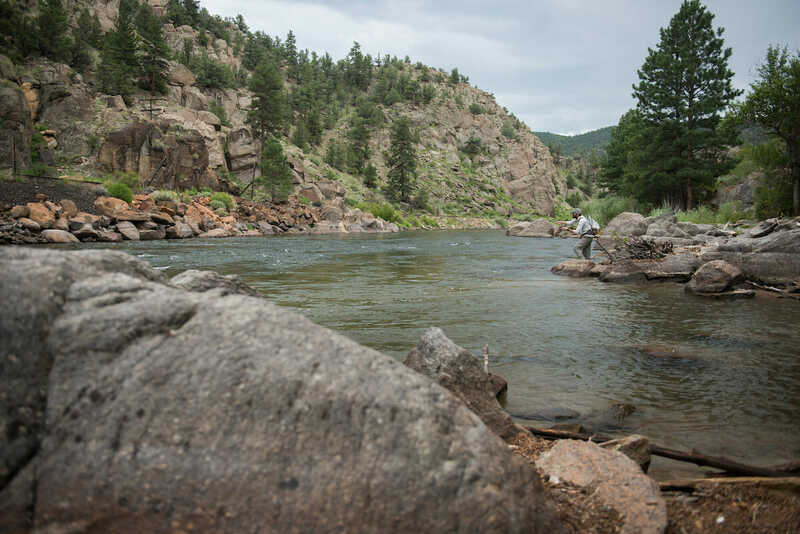 In Colorado our advocacy helped protect the gold medal trout fishery of Browns Canyon as a national monument. In Oregon we spearheaded efforts to establish the Copper-Salmon Wilderness. In Maine we helped defend native brook trout fishing opportunities in the newly-designated Katahdin Woods and Waters National Monument. More recent protection efforts have resulted in national monument designations in Colorado, New Mexico and Utah. And in California our efforts helped secure a formal petition asking the federal government to conserve all of the state’s 4.4 million acres of Inventoried Roadless Areas in that condition. In fact, roadless areas on national forests (most are not truly “roadless,” but have low road densities) represent some of our last, best strongholds for wild and native trout and salmon, robust deer and elk populations, and clean water sources. There is a well-documented correlation between areas with low road densities and more robust populations of fish and wildlife, and with larger and longer-lived adults. Because of this, TU and our nation-wide network of volunteer-members and supporters have worked hard to maintain the protections provided by the 2001 Roadless Areas Conservation Rule for the country’s 58.5 million acres of inventoried roadless areas. In states such as Idaho and Colorado that have developed their own rules for roadless areas (consistent with the requirements of the national rule) Trout Unlimited helped ensure high quality fish and wildlife habitat remained intact throughout the process. 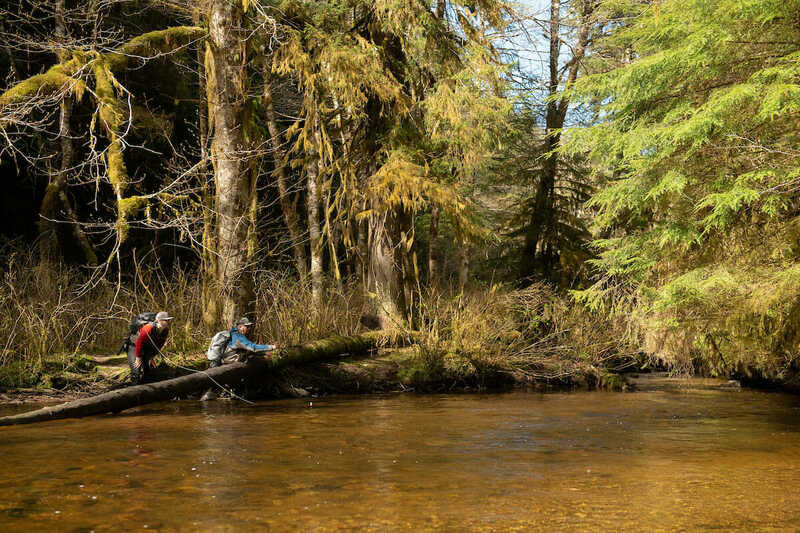 As the State of Alaska petitions the Forest Service to adopt a new rule specific to the Tongass National Forest (“America’s Salmon Forest,”) TU is working with local sportsmen, commercial fishermen, and other stakeholders to ensure that the habitat protections of the Roadless Rule are not weakened or eliminated. Forested roadless areas in public lands such as the Tongass are far more important for their salmon and wildlife habitat and recreation values than for heavily-subsidized logging. More broadly, public lands support sustainable sport and commercial fisheries and numerous forms of outdoor recreation—the massive and growing outdoor recreation economy now contributes far more jobs and annual economic activity than timber harvest, grazing, mineral extraction or energy development. TU also relies on other policy options to protect intact backcountry habitat. Such options include designation of new Wilderness (Pine Forest Range, NV), Wild and Scenic Rivers (Middle Fork Snoqualmie (WA) and the Elk and Owyhee Rivers (OR)) and national monuments (Rio Grande Del Norte (NM) and Cascade-Siskiyou (OR)) and federal land management planning (Tongass National Forest (AK) and central and southern Sierra Nevada national forests (CA)) to protect landscapes that retain high habitat values and sporting opportunities. Simply put, our public lands are the cornerstone of American backcountry fishing and hunting. 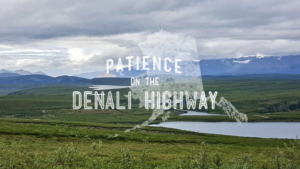 They are the province of the Average Joe, where for free or a small access fee you can hunt and fish from the trailhead to the far edge of the wilderness, off trail and on, never seeing a No Trespassing sign. TU will continue to work with our conservation partners, local grassroots, resource agencies, and elected officials across the political spectrum to identify the healthiest and most at-risk fish and game habitat on public lands and to conserve these special places through a strategic blend of policy, legislative, administrative and volunteer-based initiatives. And we will do it through our time-tested formula for success: from the ground-up, building collaborative advocacy solutions and partnership-driven projects that protect and restore vital habitat areas and, in the process, honor and perpetuate the unique American sporting heritage.